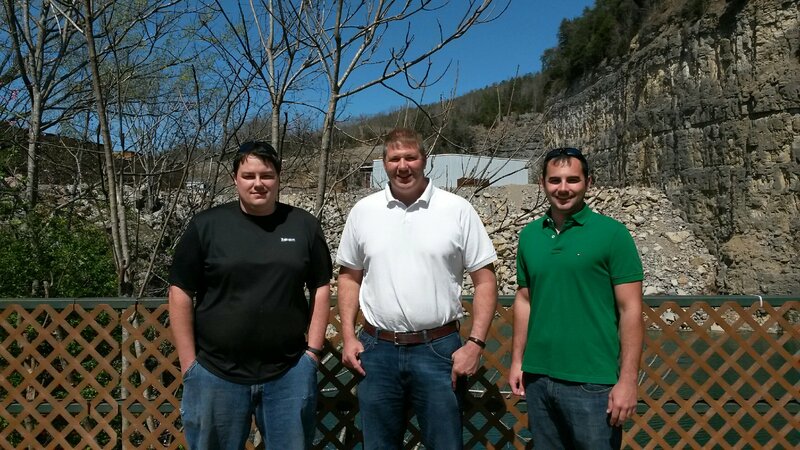 Cardin Forest Products is a family legacy, currently owned and operated by Mike and Ruth Cardin and their sons, Jarrod Cardin, Drew Carver and Kyle Carver. Every member of this family, past and present plays an important role in the success and growth of the business. Cardin Forest Products history began in 1936 when Bill Cardin started a mobile mill in the Appalachian region. In the early 1970s his mill became stationary in South Pittsburg, TN. In 1989 his son, Mike Cardin, and his wife Ruth purchased the business and established Cardin Forest Products LLC. At that time the mill employed five people and produced 8,000 board feet of lumber per day but quickly increased. In 1999 the decision to convert from the circle saw to band mill led to the construction of the new mill on 113 acres which began operation in 2002. The conversion over to a band saw mill, the new construction, and the addition of the most modern technology has increased production to over 100,000 board feet of lumber per day. This has allowed for more job opportunities and propelled Cardin Forest Products to one of the top ranking hardwood producers in the United States. Early 2015, the addition of six new computerized 80,000 board feet dry kilns opened the business to customers worldwide. Production is at a company high, and growing exponentially. The dry kilns have broadened the consumer base, providing lumber to be exported worldwide. This rapid growth recently has led to the installment of two additional 80,000 board feet kilns in 2016. As a manufacturer and supplier of products made from natural resources, it’s our responsibility to make sure those resources are protected and responsibly managed. Cardin Forest Products, LLC. conducts its business in accordance with sound environmental practices that emphasize sustainable forest management. Cardin’s commitment to sustainable forestry means that harvest levels will not exceed what the forest produces and should not degrade future growth capability. Our lumber comes from the Appalachian Hardwood Forest, a region that the U.S. Forest Service has verified as benefiting from sustainable forest management. Since the beginning, we have strived for manufacturing perfection with strict quality control standards and implementation of the latest technology. 100% of the timber is used in order to minimize loss. Wood chips are sold to paper mills and as mulch, and the sawdust is used in our bio-fuel boiler to power our dry kilns. Every advancement forward leads to higher utilization and efficiency, making Cardin Forest Products, LLC. better stewards of the land. In choosing Cardin Forest Products, LLC. you get more than just top quality Appalachian Hardwoods. You share in our commitment to a renewable wood resource and responsible forest stewardship. Ours is a multi-generational company with a long-term vested interest in sustainable forestry. We know with greater forest management and long-term stewardship, better lumber can come from our forest resources. Decisions we make today will impact the overall health and quality of future timberlands. Our sustainable forestry procurement methods ensure the overall health of the forest – including water quality, wildlife habitat, and biodiversity. As a result of what we are doing and other likeminded hardwood companies, the volume of hardwoods has more than doubled in the United States since 1950.